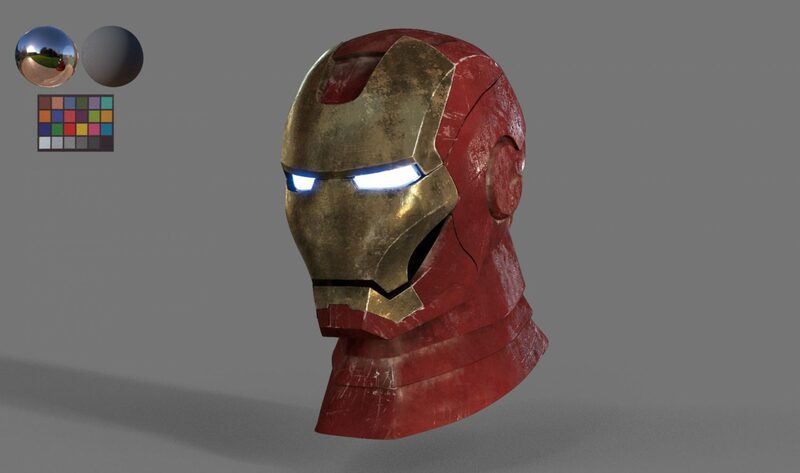 One of the things that most attracts me in the 3D world is texturing. 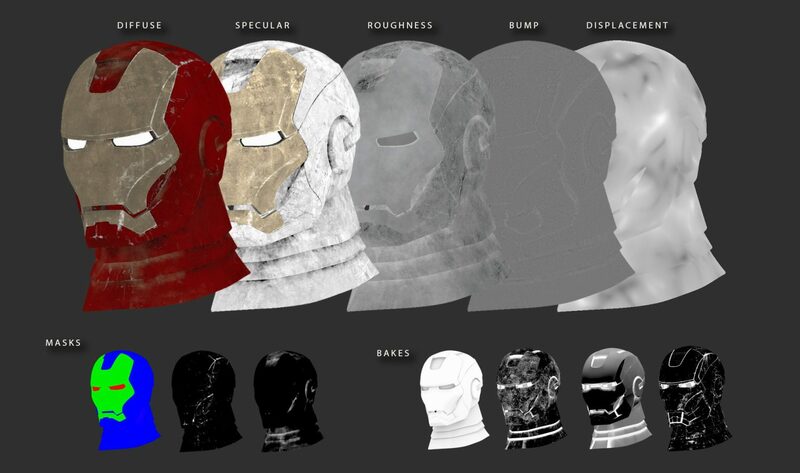 In the master’s degree, we will have basic knowledge of Substance Painter. On my own, I have decided to study Mari, the fundamental texturing software. 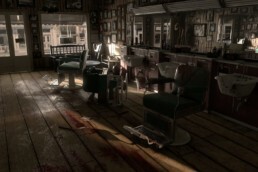 To do this, searching the web, I found the Elephant VFX page and the great Xuan Prada courses. This has been my first course and the result has been extraordinary. 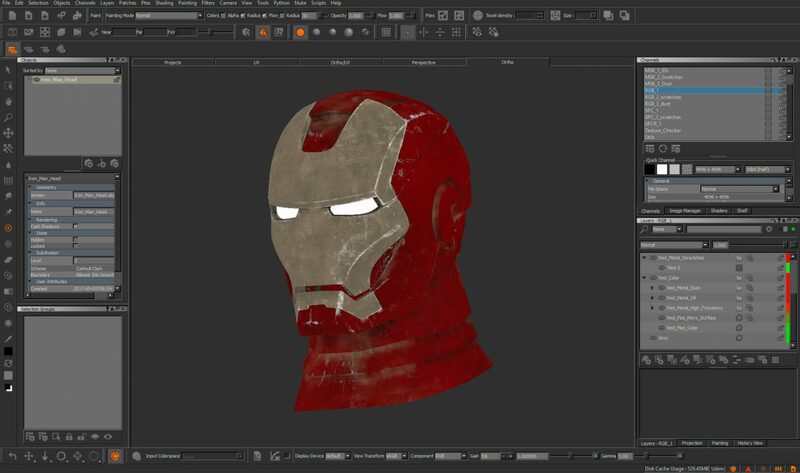 The entire process of texturing and look development of the model has been step by step the tutorial, so I encourage everyone who wants to learn to use this page as a reference. 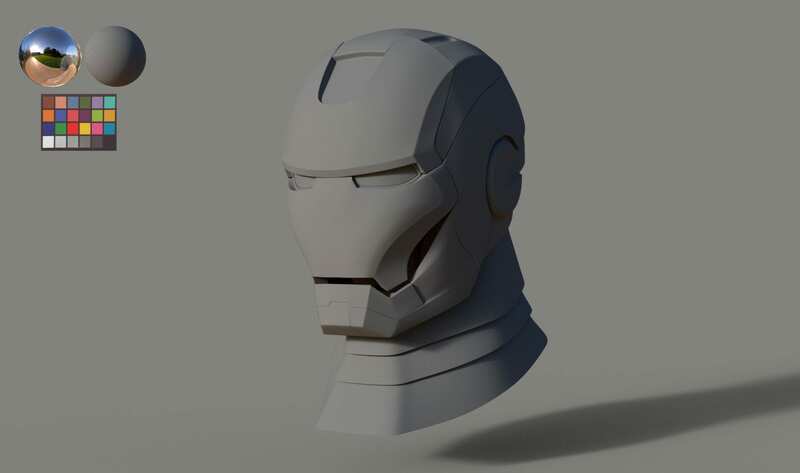 For my first textured in Mari I modeled the Iron Man helmet. The mapping was done in Maya. To start practicing with UDIMs and follow the online course correctly, I separated the mapping into four UDIMs. 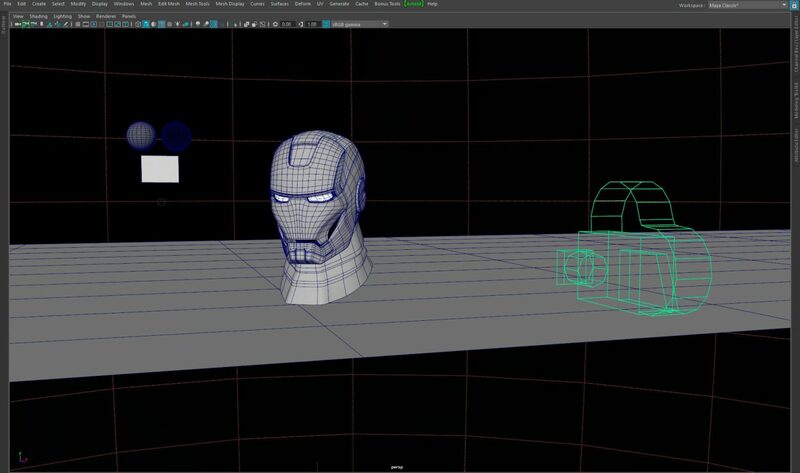 The process for the texturing was complete with Mari, before sending it to Maya to make materials configuration. The last part of the process was to do a lightrig to be able to test the textures. The lightrig can do it yourselves or get it in this link. 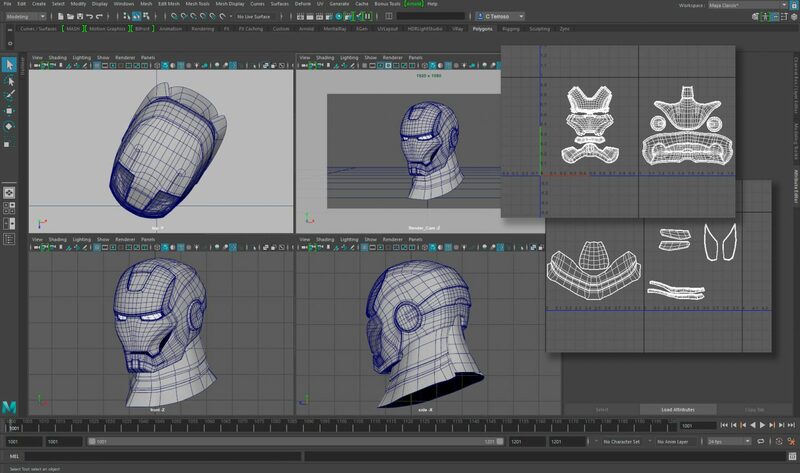 In Maya the materials were configured with each one of the maps that had been created in Mari. 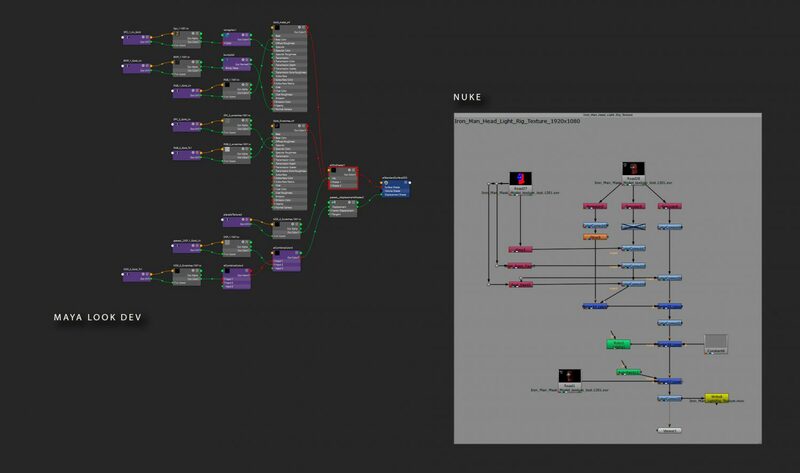 Finally in Nuke, I made the final composition with the corrections in each of the AOVs channels. I thank you for your time and patience. If you want to learn how to do the whole texturing process, I recommend the Xuan Prada course in Elephant VFX. I hope I have helped in some way and if you liked it, please share! !